Say "NO" to Foot Pain! Many conditions that affect your feet may not be very obvious and would require expertise to be able to diagnose the problem properly and render the right treatment. Foot pain is NOT normal and must be evaluated and treated properly. All diabetic patients must be seen and evaluated by a podiatrist. On your first visit, Dr. Kosari will discuss with you if you are at high or low risk for diabetic foot complications. Diabetes tends to affect the entire body and especially the feet. Your immune system, nervous system and vascular system are directly affected by diabetes. You must be extra careful with your feet if you have diabetes. The American Diabetes Association and the American Podiatric Medical Association recommend at least a yearly visit to a podiatrist for foot evaluation. Those with moderate to high risk are recommended to be seen and examined every 2-3 months. We take most insurances. Please call the office for more information. 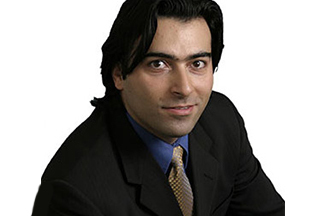 Dr. Kosari is board certified in foot and ankle surgery by the American Board of Foot & Ankle Surgery (ABFAS). "I have been suffering with ankle pain for many years because of a car accident that left me crippled. Dr. Kosari gave me a new lease on life when he replaced my ankle. I am now able to walk without pain and I am enjoying my life again. Thank you Dr. Kosari. " "Dr. Kosari has magic hands. My bunions were killing me every time I wore shoes. After my surgery, I have no pain and I enjoy shopping for shoes again!"